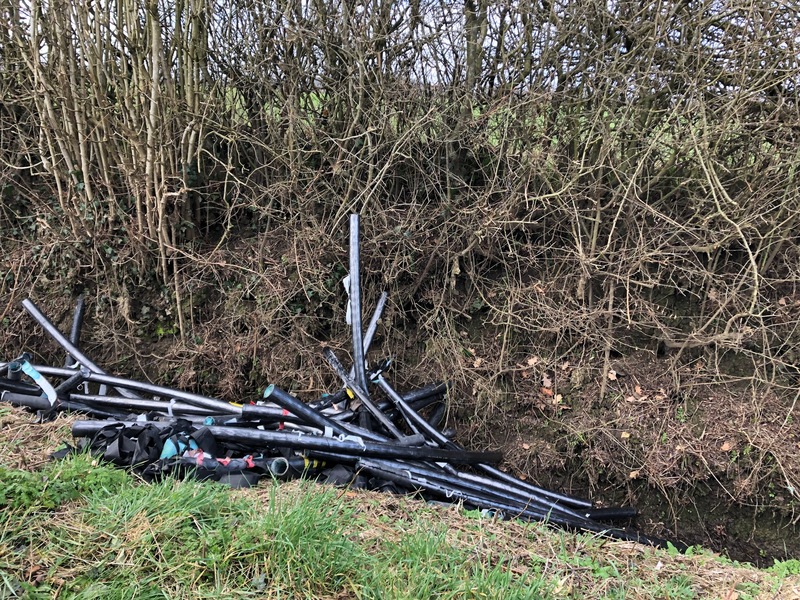 A large quantity of Network Rail cable insulation has been dumped in a ditch beside the Hankerton-Charlton road. The police are aware and dealing with it. This entry was posted in Uncategorized on February 21, 2019 by Simon Kearsley.